Western Specialty Contractors recently completed a new construction waterproofing project at Brockman Hall for Physics, Rice University. 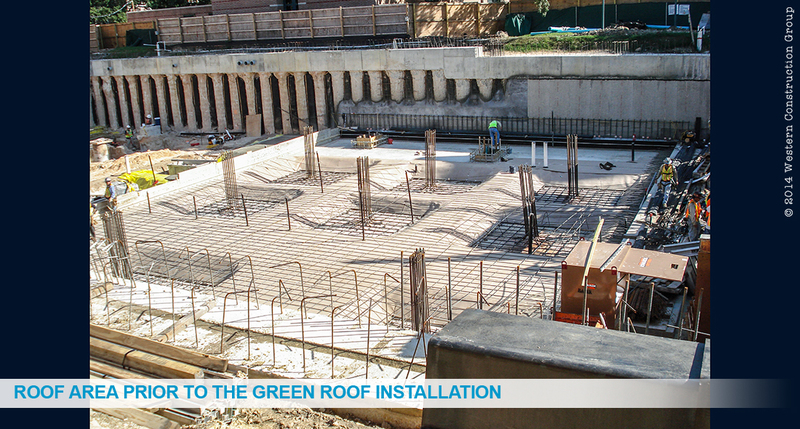 The project included slab and wall waterproofing and the waterproofing of the concrete deck below the green roof. 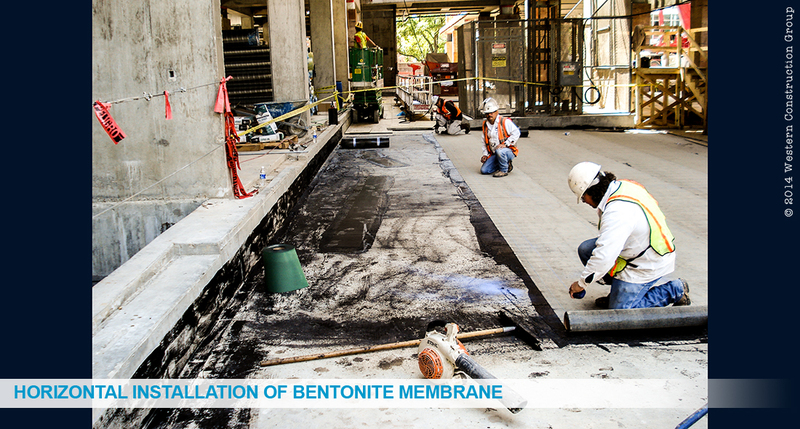 Bentonite waterproofing was utilized on the walls and slab and a welded thermoplastic Bentonite membrane on the green roof. After the slab and walls were waterproofed, work began on the concrete roof lid. 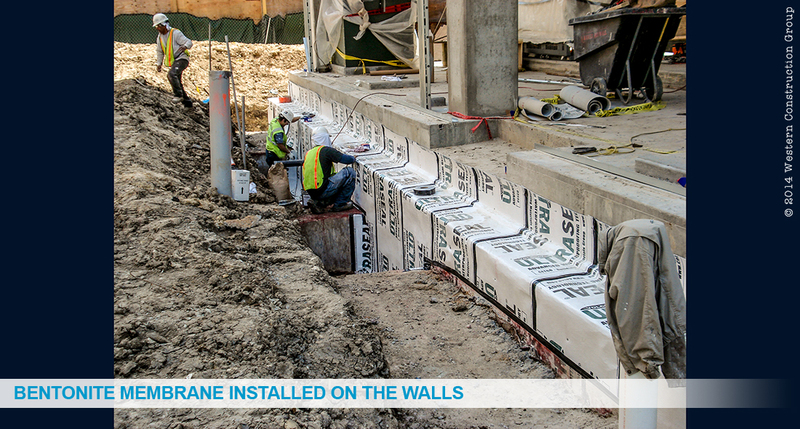 A temporary hotapplied membrane was applied and covered with ¾” treated plywood. 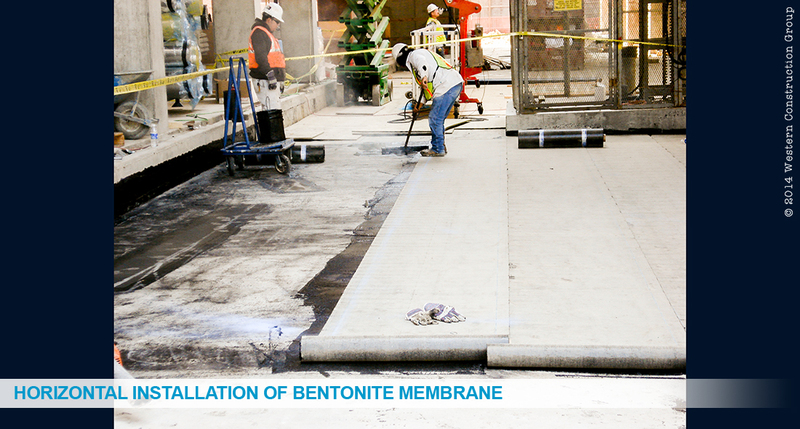 This created a waterproof working surface over the building during construction. 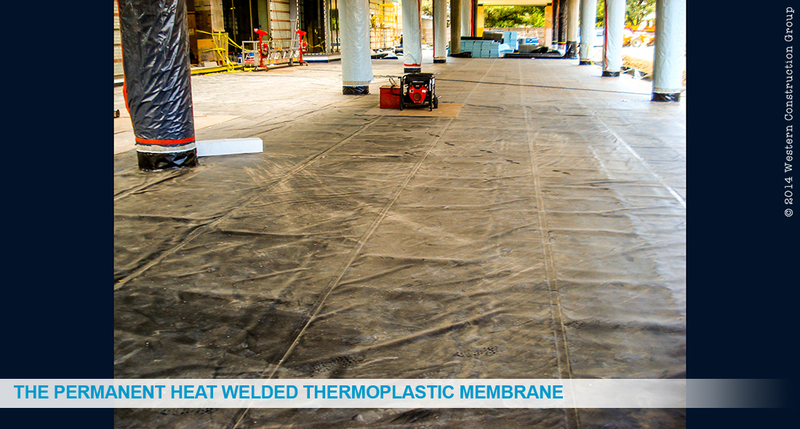 The plywood was then removed and the permanent heat welded thermoplastic membrane applied. EFVM water testing was used to insure the integrity of the waterproofing system. 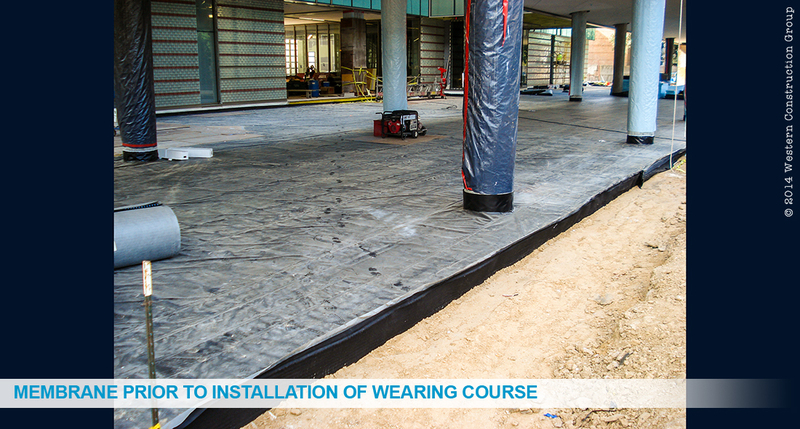 After the successful water test was completed, the Western crew installed roof barrier, drain mat, protection board, retention fabric, and filter fabric to complete their portion of the project. The landscaping contractor followed with the engineered growing media and planting material. Aggregate walks and a paver system completed the green roof.